This month we’ve got interviews with two West Country based playwrights Miranda Walker and Alison Farina. When I met up with playwright Gill Kirk in Bath a few months ago, it seemed that the West Country is currently enjoying an incredibly vibrant theatre scene, so we’ve got some useful links at the bottom of the page too. Miranda is a Cheltenham-based writer. 17%: What first drove you to write? I’d always written creatively for myself, it was just something I kept doing when I left school. It didn’t seem feasible to me that I could ever really do anything with my writing though – I didn’t know any writers or anyone who knew anything about that world. I went to work in education, and after winning an award, had the opportunity to write non-fiction articles for an industry magazine. This eventually led to writing textbooks for publishers Nelson Thornes. It wasn’t until I was a published author with a couple of books under my belt that becoming a scriptwriter started to seem possible, or at least less of a leap. I set about learning the craft – a job that’s never finished! And I did my homework to find out about the practicalities of getting work produced. I soon realised how competitive it is, and I suppose that I resolved quite early on to just keep going. 17%: How and when do you write? I write full time, so I treat it like any other job and try to have a working week. I’m a planner, so I spend quite a lot of time nailing down the plot – I need to know all the twists and turns before I start a script, and I quite often write a monologue for each major character, so that their voice is really established in my mind. Then by the time I actually start writing the script I’m bursting to get going and that helps me to maintain the motivation and writing stamina needed to get to the end. If I’m working on a commission that has a set brief, I usually start with a huge thought storm. I note down the words, images or ideas the brief provokes, and eventually the seed of a story will grab me. I write on computer in my home office, but fill endless notebooks with fleeting ideas and bits of dialogue as they occur to me, and with things that strike me as interesting or amusing – quite often it will be someone’s attitude towards something. The outline for a play might well come from a kernel of an idea scribbled down in haste and eventually reviewed. I know that if I don’t write a thought down at the time it will be gone, so I always have a notepad in my bag. 17%: Do you only write plays? Or do you write other things? I also write drama and comedy for screen and radio, so the scope of my work is quite wide. For example, I was commissioned to write a short film by Skillset Screen Academy, and I’ve worked as a gag writer for Ruth Jones’ production company Tidy on the topical news panel show WHAT’S THE STORY?, which aired on radio. I’ve also scripted animations for the web, which were great fun to work on. My most recent work has been MEAN TO YOU, a radio play which was inspired by the stadium experiences of disabled football fans, and AN INSPECTOR CALLS BACK, a comedy drama which, supported by Arts Council England, had a weeklong run at London’s Courtyard Theatre. At the same time I had a short piece included in an evening of script-in-hand performances at Cheltenham’s Everyman Studio Theatre, directed by Peter Leslie Wild. It was exciting to have work on at two places at once! 17%: What advice would you give to other female writers? All writers need tenacity and a thick skin! It can be hard to get your work read, let alone noticed. Naturally it’s crucial to develop your craft, but you need to take a businesslike approach to getting your foot in the door alongside. Finding out about writing initiatives at theatres in your area can help you to achieve both – you may be able to attend workshops, submit work for development consideration and network at the same time. Seeing lots of theatre is important, and there may be opportunities to volunteer locally – being backstage can help you to understand how the theatre works. One thing that really worked for me was building credits for my CV. If you haven’t yet had work produced, you might want to enter competitions as success gives you something to list – the BBC Writersroom site lists current reputable competitions under the heading “opportunities” and there are often several for playwrights. Some competitions offer further development or production for those who catch the eye. It’s often worth stepping out of your comfort zone by writing something you wouldn’t normally in the bid to gain credits – it’s great practice for when you receive commissioned briefs. My first paid bit of comedy writing was a gag for the 118118 text-a-joke service! I would send in a bunch at a time and get paid for the ones they used. 17%: What do you think about political playwriting? Is it an irrelevance or timely? I don’t feel it’s irrelevant. Political playwriting works best for me though when there’s a good story at its core. If a piece feels simply a mouthpiece for the playwright’s opinion I tend to sit there thinking, “I could have read that in a newspaper article.” But all artists are responding to the stimulus around them, so politics permeates so many plays that aren’t labelled as “political.” Personally, I admire well-crafted satire alongside less overtly political pieces that nonetheless raise political issues. 17%: Why do you think there’s such a creative West Country scene? Well, I’m based in Cheltenham which is a wonderful place to be a writer, steeped in literary tradition. We have the big literature festival, and in recent years, the screenwriters’ festival. But the jewel in the crown is the Everyman Theatre, which is the epicentre of so much fantastic work in Gloucestershire. I’m a member of the Everyman Writers Lab which is run by Paul Milton, the theatre’s Creative Director. The Lab nurtures and develops writing talent, and there are opportunities to have work considered for script-in-hand performance as well as production. I’ve learnt so much from the Lab, and been commissioned by the Everyman because they got to know my work. An early version of AN INSPECTOR CALLS BACK received a rehearsed reading there, and Paul Milton supported its development and directed the London production. The reputation of the Lab proceeds it, so there’s quite a waiting list now. 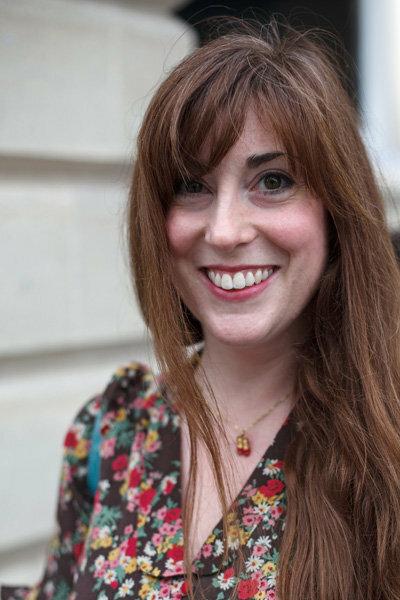 Further afield, Bristol Old Vic also run some fantastic writer events and offer development opportunities, thanks to Literary Producer Sharon Clark. 17%: Are you working on anything right now? I’m currently working on a piece for youth theatre, and I’m planning a full length play. I’ve got two ideas and haven’t quite decided which one to focus on, so at the moment I’m fleshing them both out to see which really grabs me. Stories have to work of course, but in the end a piece has got to instinctively feel right as well before I commit to writing it, because once I’ve committed I’ll see it through to the end. I think you’ve got to decide to do that, or you’ll abandon the project when the midway insecurity wobble sets in and you suspect the whole thing is rubbish! Which it probably is in the first draft. That commitment gets me to draft two and beyond. 17%: Who inspires you and how? I’m always inspired when I experience good work in the theatre – I want to write through the night when I get home! I attended the majority of the rehearsal period for AN INSPECTOR CALLS BACK and observing the creative processes of the director and cast both inspired me and gave me fresh perspective. I’ve also been fortunate enough to receive mentoring from renowned writer Maurice Gran, who is hugely inspirational to me and very generous with his time. He has a fantastic career spanning stage, screen and radio. Because I’m inspired and motivated when I listen to industry professionals talking about their work, I attend as many Writers’ Guild events as I can. I usually have a favourite published script in my bag too, which I’ll dip into if I have a few minutes when I’m waiting for a meeting or whatever. They remind me why I want to write when I’m halfway through a first draft! At the moment it’s Victoria Wood’s TALENT which had a revival I loved at the Menier Chocolate Factory not too long ago, and before that it was Willy Russell’s EDUCATING RITA. Alison is based in Bath and runs Butterfly Psyche Theatre. It happened by accident really. I have always been a writer of stories and poetry but, despite being an actor, it never occurred to me write for the stage. Then, in 2006, I had an idea for a story that I thought would work really well on stage. With a background in devising using improvisation theatre practice, I first wrote the story down, then work-shopped improvisation rehearsals based on the story. After three months of this process, I then went away and wrote a script based on the work that came out of the impro rehearsals. My second play was done also using this process, yet in 2008 I started writing scripts straight away and haven’t looked back. I do plan on going back to using improvisation work, but would like to find a new way forward I haven’t tried before, so…watch this space I guess? For me, a lot of ‘writing’ is done in my head over many months. I think things through and get them in my head first, and then I sit down when I am ready (or when the deadline is looming!) and write until it is finished. I write when I have something to say or express, I guess. I try to give myself deadlines to make sure I don’t go too long without producing something. Everything! But mostly my work deals with relationships and is heavily influenced by mythology, fairy-tale and folklore. I suppose my ‘style’ (although I don’t like to label things) is probably best described as ‘Magical Realism’ so far, but who knows where my work will go in the future. I write everything from silly poems to short-stories as well as copy for corporate brochures and websites, so a mixed bag! 17%: What advice would you give to other writers? Give yourself deadlines. And just write. Keep a diary or notebook and write anything. It doesn’t have to be a masterpiece, who knows; you may come back to something you aren’t impressed with at first to find inspiration from it later on. 17%: What do you think about political playwriting? Is it an irrelevance or timely?Hmm… ‘Political’ or ‘Issues’ plays generally don’t interest me. Stories interest me. I would rather see a really good story that has a message, than a play produced purely to address politics or issues. Also, practically, these can become dated very quickly, and without the story ‘behind’ the issue, their life as a producible work, is limited. 17%: Why do you think there’s such a creative West Country scene right now? I think there is something special about the West Country that draws creative people to it. Whether it is the sea-side, the rolling landscape or the plethora of cities and villages, the West Country is a beautiful and peaceful place with lots to inspire artists of every kind. I feel very lucky to live in such a wonderful part of the world with the opportunity to meet so many different kinds of people. And with easy access to London! I am working on my fifth full-length script at the moment, which is due for production this September, as well as directing the script of another West Country playwright, Gill Kirk,(who was recently featured on your YouTube interview channel), which goes up at The Rondo Theatre in Bath this June. 17%: Could you tell us about Butterfly Psyche – would you be open to unsolicited scripts? I set up Butterfly Psyche in 2010 as a platform to produce work myself. Our focus is on new writing, with great stories, however they are approached. At present we are unfunded, but hopefully in the future that will change, so the rate of production is very low. But if anyone would like to send in a script, I am always happy to read new work and if I can, provide feedback (if that is something someone wanted), if it isn’t something we can produce at Butterfly Psyche. 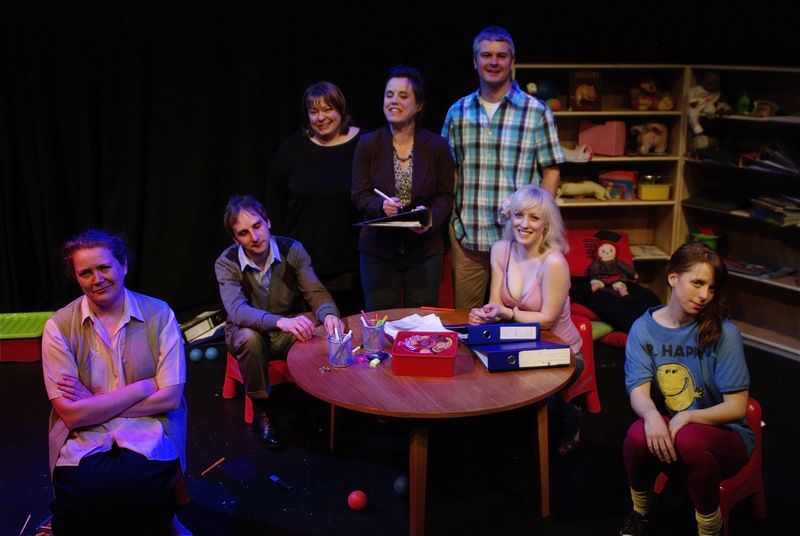 NEWS: Alison’s latest play Fertility Objects plays at the Rondo Theatre, Bath, from 20-23 June 2012. Follow Butterfly Psyche on Facebook for latest news.